Stocks that raise their dividend meaningfully every year will make you a lot of money over the long haul… provided they continue to boost their payouts, of course. Studies by two global investment heavyweights, BlackRock and GMO, have shown that 90% of U.S. equity returns over the past 100 years have been thanks to dividends and dividend growth. Worried about the Fed’s rate cycle? Research from investment firm Nuveen shows that dividend growers outperform their counterparts for the 36 months after a Fed rate increase as well. Companies with profits that grow year-after-year are able to share these rewards with their investors. 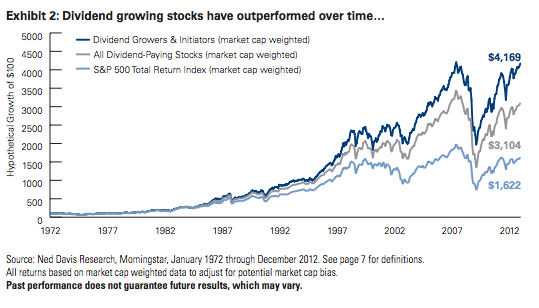 Dividend growth is the sign of a healthy, thriving business with a sustainable “unfair advantage” over its competitors. Most dividend aristocrats – companies that have raised their dividends for each of the last 25 years – have enjoyed earnings that have risen in tandem with their payouts to shareholders. 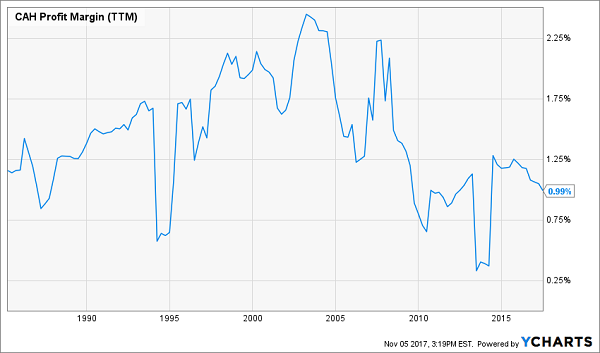 And while some have timeless business models that will continue to power payouts for years and decades to come, others are hitting a wall when it comes to earnings growth. Ecolab (ECL) is responsible for keeping the power on, keeping the water flowing and keeping everything you come in contact with clean. For instance, its Nalco Water division provides water treatment technologies for large-scale industries such as refining and petrochemicals – not just keeping companies in line with environmental regulations, but also helping them save money by conserving water and energy. Ecolab also has a hand in everything from kitchen equipment repair to dishwashing solutions to pool and spa maintenance, for customers ranging from businesses to schools to government organizations. Ecolab is a soundly profitable company that generates more than $1 billion in free cash flow every year. It’s also one that analysts are optimistic about, with Wall Street’s pros modeling 8% earnings growth in the current year, followed by a 13% pop in 2018. That, as well as an uber-conservative 33% payout ratio with plenty of room to spare should allow ECL to maintain its 25-year streak of dividend increases. In fact, Ecolab is one of several companies still expected to dole out payout hikes before the end of 2017. Pharmaceutical and medical product distributor Cardinal Health (CAH) is seemingly in good place in the healthcare market, with most U.S. hospitals using its services. The company also has improved its annual payout to investors for more than 30 years, and it’s a few months into swallowing Medtronic’s (MDT) Patient Care, Deep Vein Thrombosis and Nutritional Insufficiency business for $6.1 billion – a 23-category portfolio including things such as catheters and bandages. And yet, CAH finds itself in a roughly three-year funk that has seen shares bleed out by more than 30%, including a 15% dip in 2017. The pressures are myriad. Among them, Cardinal Health – which already fights in extremely low-margin business – finished fiscal 2017 with a mere 0.9% net profit margin. That info came during a Q4 report that saw management guide 2018 non-GAAP earnings in a range of $4.85 to $5.10 per share, well below analyst expectations of $5.25. It was a disappointing announcement, albeit not surprising – William Blair downgraded CAH back in April following the company’s weak preliminary 2018 guidance for flat profits to a decline in the mid-single digits. Also troubling is the growing threat that is Amazon (AMZN), which appears ready to enter the drug distribution business, given that it now has licenses in at least 12 states. Analysts felt the fear was realistic enough to ask CEO George Barrett to address the potential during a June meeting, which he responded to in part by saying, “We’ve built our strategies with an awareness that they’re there.” Another distraction is a Teamsters push to strip Barrett’s chairman title in response to the company’s perceived role in America’s opioid crisis. Cardinal Health pays out just 45% of its profits as dividends, and its business is far from crumbling. But there are too many red flags to ignore right now. Stay away. Dover Corp (DOV) is a large industrial conglomerate that has its tentacles wrapped around a number of businesses. Its four core divisions are Energy, Engineered Systems, Fluids, and Refrigeration & Food Equipment. This manifests itself in products such as Dover oil and gas pumps and lift systems, Anthony commercial glass refrigerator doors and Maag filtration systems. 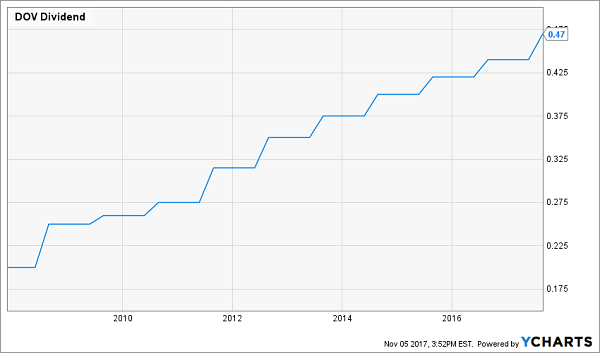 This Dividend Aristocrat has delivered one of the longest-running streaks in the group, at 62 years of distribution hikes. 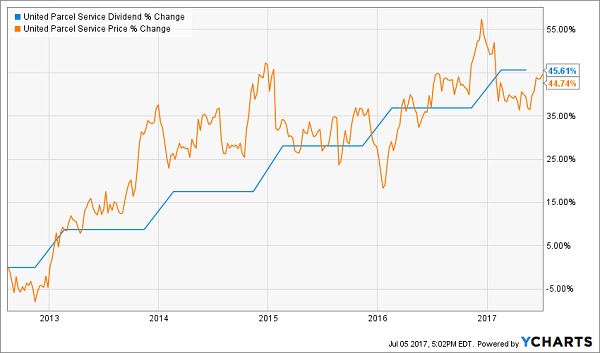 That includes a 7% improvement to the dividend in August that marked one of its best upgrades in years. It’s also starting to deliver growth again. After a couple rough years that saw revenues decline about 12% between 2014 and 2016, Dover’s top line has advanced 16% through nine months in 2017 – filtering down to a 48% bump in earnings per share. I’m also interested in seeing what comes of Daniel Loeb’s newly announced involvement with the company. DOV shares already had been beating the market in 2017, but news that Loeb’s hedge fund, Third Point, added the company during the third quarter has helped spark shares to all-time highs. Loeb is looking at several avenues for wealth creation, among them separating the energy business – an option Dover announced it was exploring in September. Franklin Resources (BEN) is far from a no-name, though it’s a far more recognizable brand if you’re an investor. 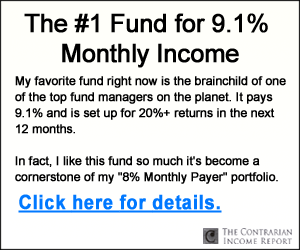 That’s because the company is more commonly known as Franklin Templeton Investments, offering a couple hundred mutual funds and a handful of closed-end funds to investors of all stripes. And if you’re an Aristocrat faithful, you know it has hiked its payout for 35 consecutive years. Business has been difficult for ol’ Ben, however, and it has been for a while. Franklin Templeton, which is known for its bond funds, as well as its emerging-market offerings, struggled with performance over the past few years, knocking assets under management to $753 billion during the September quarter – a slight year-over-year improvement, but far below the $880 billion AUM it boasted at 2014’s end. That in turn has weighed on revenues and profits, which essentially sit at levels from a decade ago. The growing popularity of exchange-traded funds has also been an anchor on Franklin’s operations, and the company’s answer has been late in coming. BEN began building a small suite of actively managed ETFs in 2013, but announced only a few days ago that it would be taking a swing at iShares and other dominant providers with its own set of low-cost passive funds. It may be too late to really shake Franklin out of its funk. By repurchasing its own shares. Everyone loves the dividend, but investors usually don’t give enough love to the dividend hike. Not only do these raises increase the yield on your initial capital, but also they often are reflected in a price increase for the stock. For example, if a stock pays a 3% current yield and then hikes its payout by 10%, it’s unlikely that its stock price will stagnate for long. Investors will see the new 3.3% yield, and buy more shares. They’ll drive the price up, and the yield back down – eventually towards 3%. 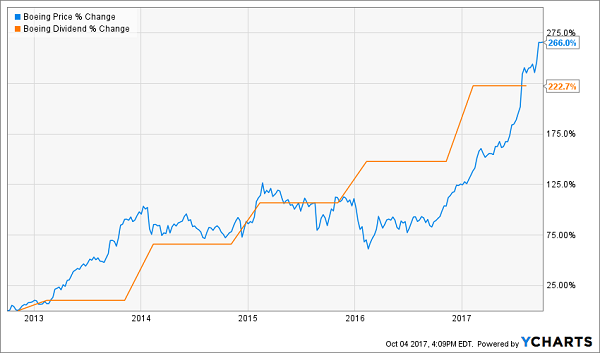 This is why your favorite dividend “aristocrat” – a company everyone knows and has paid dividends forever – never pays a high current yield. Its stock price rises too fast! UPS increased its dividend by 45.6% and its stock rose 44.7%. That’s no coincidence. That’s exactly what unfolded. We’ve nearly doubled our money (93.5% total returns) in less than two years. Since share prices move higher with their payouts, there’s a simple way to maximize our returns: Buy the dividends that are growing the fastest. 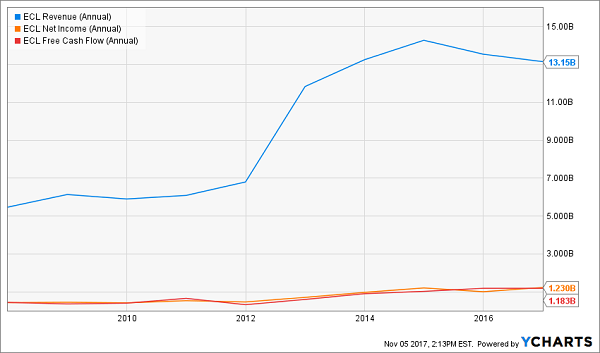 How much money should you allocate to dividend growth? As you can see – as much as possible. This strategy is such a “slam dunk” for investing returns that there’s no reason to collect more current yields than you need right now. If you can “forego” some amount of income today, I would encourage you to consider investing that capital into dividend growers. Step 1. You invest a set amount of money into one of these “hidden yield” stocks and immediately start getting regular returns on the order of 3%, 4%, or maybe more. That alone is better than you can get from just about any other conservative investment right now. Step 2. Over time, your dividend payments go up so you’re eventually earning 8%, 9%, or 10% a year on your original investment. That should not only keep pace with inflation or rising interest rates, it should stay ahead of them. Step 3. As your income is rising, other investors are also bidding up the price of your shares to keep pace with the increasing yields. 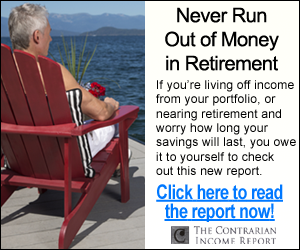 This combination of rising dividends and capital appreciation is what gives you the potential to earn 12% or more on average with almost no effort or active investing at all. 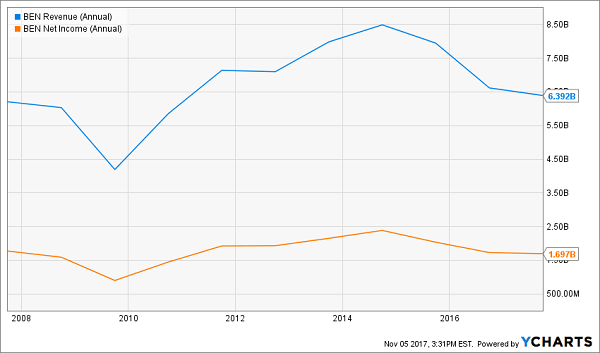 Which “hidden yield” stocks should you buy today? Well you know me – I’ve got seven best buys that should safely double your money every three to five years. It’s a simple formula – their dividends are doubling every three to five years, which means their prices will rise in tandem. At the same time, we’ll collect their dividend payments today and enjoy an even higher income stream tomorrow. If you achieve returns of 27.1%, you’ll double your money in less than three years. So if you haven’t been following this strategy, why not? The best time to get started is right now – before the seven dividend growers I mentioned begin to move. Click here and I’ll share their names, tickers and buy prices with you right now.